The details below will give you an appreciation of the variety of ways of sending SMS. An independent review of Australian SMS providers will assist you in comparing what they have to offer. 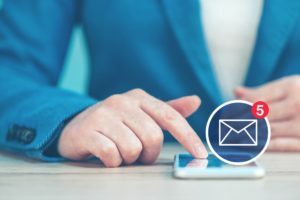 Over the past few years it has become much easier and cheaper to send SMS from a computer using Australian providers who offer a range of features and services that will bring business a return on their investment. There are a range of SMS from Computer providers to select from in both Australia and overseas. From the authors’ extensive understanding of SMS and the providers, a comparison was done of the major SMS providers who can a reliable service. 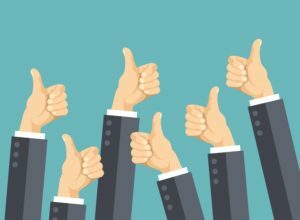 By comparing features, pricing, API software, reliability and reputation, five leading SMS providers from computer services were selected, namely WholesaleSMS, ClickSend, SMS Broadcast, directSMS and SMSTech. An independent review is presented for your analysis. Obviously, a free SMS site does not charge whereas other sites from SMS providers do charge on a usage basis. That sounds simple but the free service is limited in what it offers. SMS from Computer companies know that and therefore offer a variety of bulk deliveries on time and with a 99% uptime delivery that cannot be offered by organisations that offer a free service. It needs to be emphasised that SMS services are not free on mobile telecommunication networks and gateway SMS are linked from the internet where text messages are originated. Providers have the direct link with telecommunication carriers, whether they are Australian carriers or international carriers, and therefore must charge for the use of such gateway SMS service and the platform application (API) to use the service. Yes, there are apps that are developed to send text messages for free and avoid the telecommunication carriers such as WhatsApp and Twitter, but they are limited in the number of text messages they can send at any one time with near 100% uptime guarantee. SMS Computer providers have the capacity to send thousands to tens of thousands of sms from your computer without the concern as to how effective the message would be seen by the users. With different phones and apps that work with each other in a variety of ways, all of these messaging apps are limited in their capacity. So if you want to send a text message on WhatsApp, it will require the user to use WhatsApp and if you want message on Google Hangout, it has to be done through Google Hangout App. For a business with large number of consumers or customers, such direct messaging service has limitations. Over the past few years there has been a number of SMS Apps produced that allow the user to send text message easily and with little effort. 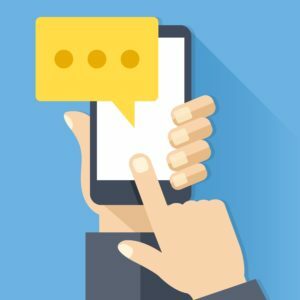 The presence of online messaging apps such as WhatsApp and Snapchat do the job of text messaging to your circle of people and can be used on Android phones. However, many texting apps do not have a range of good, easy to follow features and, in many cases, not so visually appealing. However, recently there has been a number of texting apps that have suitable features, good visuals and can be easily integrated with a third-party SMS service that are mentioned above. These Android SMS or Texting Apps can be downloaded at no cost. On a recent review of Android texting apps, it was seen that there around sixteen good apps that can do the job. It is not difficult to for you surf the net and see the variety of these apps. To provide a quick overview of features of android apps that send SMS from a computer, it was seen that they offer a number of theming options, simple interface, some organisation and backup features and a reasonable search function. In some cases the app can be slow to process but, in general, it is free service and that needs to be considered. Android apps are not a substitute for distribution of medium to large volume of sms at any one time and this is where the engagement of a SMS Provider will provide the software and distribution service that will reach people efficiently and of course, effectively. Of course, you can send text messages from your computer whether it is a Mac or PC. For some people it is much easier and in some cases, to type a message on their keyboard than tapping on a smartphone screen, especially if you have larger fingers. This way you easily see what you are typing on a larger screen and can easily see if there is a typo or information detail missing. All that is needed to distribute a receive text messages by a Mac is running an appropriate software such as Mac OSX 10.10 and a paired Apple device like an iPhone, iPad or iPod Touch, and be able to use the correct settings. If you have same type of Apple devices, it will automatically synchronise and work for you. If the telecommunication carrier will not charge you for distributing text messages, then it’s a free service. If there is a charge its charge to send a text message from the computer is the same as the cost of sms from your mobile phone. With a desktop PC, laptop or tablet, you can send a sms by using Microsoft Outlook application. It is a simple as sending an email. This is a perfect solution for those people who depend on emails as their best mode of communication because it means that one can communicate in different ways yet be familiar the platform they always are using. With no additional software installation needed, it is a simple way to send and receive text messages. So what is an SMS API? Simply, it is an Application Programming Interface that has the properties of a computer program that can communicate to another computer program so that the processes of transmitting text messages occur easily, safely and effectively. It is the terminology used by programmers in working between different platforms to ensure the sms is able to be disseminated when required. There is a range of APIs that programmers can develop software to integrate with software for the purpose of distribution and receiving text messages. SMS companies are able to develop and use their APIs to integrate with software that the client uses so that there is no need to any manual log in to any application for sending out text messages. The use of SMS API can mean that text messages are automatically being sent when instructed by the client. Notifications and appointment and reminders are some examples of the way the SMD will be activated via the API platform. The SMS API system can be used to create lists, set up keywords and schedule times and dates for messages to be distributed. Additionally, SMS API servers are not shared with other clients and as such, are dedicated which means text messages and replies can be sent efficiently and reliably. Monitor SMS with a real time delivery analysis of distribution. The service of providing you with an ability to review companies that offer ways to send SMS to your customers, clients, staff or the public came about because there are so many providers with different reputations. Therefore by independently detailing the features, services and offers available you will get a clearer picture when deciding which SMS provider offers the best deal for your needs. The SMS Comparison Table is an easy way to compare with the intricate details. Of course, this is backed by details on the site. The research that lead to the decisions were based on recent information provided and developed by authors who were in the SMS business but no longer work in that field. Therefore, the Table and Sites are unbiased their review. If any of the information is different from the providers’ websites, please let the authors know so that changes will be made promptly. We hope you will gain great benefits from the Comparison Tables and sites provided to you.